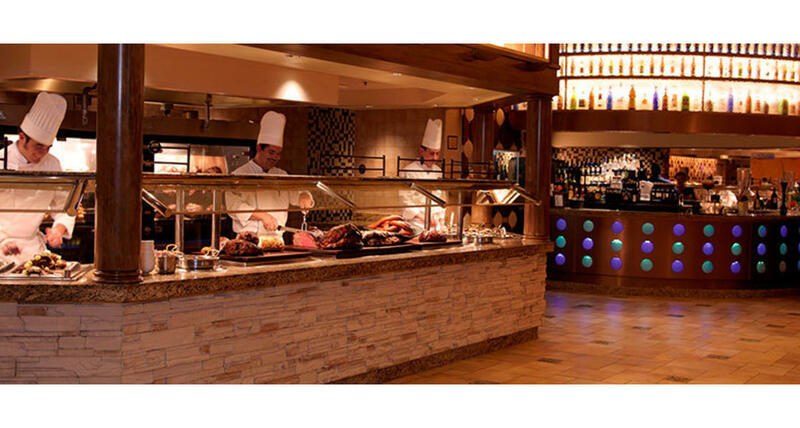 The Carnival World & Seafood Buffet offers flavors from around the world, 300 selections! Seafood lovers will find lobster, snow crab legs, shrimp, oysters, sushi and more! Pizza, omelets, teppanyaki, fresh carved meats and Asian barbecue are just a few of the many offerings. Over 70 varieties of desserts including homemade pies, cakes and pastries, gelato all made from scratch.